Last month we shared about the impact that Salem Church of God (Clayton, OH) is having on children around the world. They recently sponsored 64 children on COP Sunday, and their members now sponsor 144 children in all 29 countries where Children of Promise serves. Kyle Hayes, missions director at Salem, and Chris Britton, missions director at First Church of God in St. Joseph, Michigan, are good friends. When Chris heard that Salem sponsored 64, he set the goal for St. Joseph's COP Sunday at 65. A little healthy competition ensued, and this past weekend when I spoke at First Church in St. Jo, at least 73 children were sponsored (they are still trickling in). St. Jo now sponsors 152 children at last count. Both of these young men are dynamic leaders who have a passion for children in need. They prepared their congregations, engaged their senior pastors' support, and stepped out in faith so children's lives could be filled with promise and hope. Children of Promise has volunteers and passionate advocates in churches all over the U.S. I encourage you to mobilize your leaders, your congregation, your people, wherever you are. Your church size doesn't matter - what matters is children's lives being changed. We have churches of 60 where 20% of the congregation is sponsoring. That is amazing! It takes all of us together to help as many children as we can experience God's love and a bright future. Sometimes a little competition just inspires and motivates us. Thanks, Chris and Kyle, and the people of Salem and St. Joseph for your love, compassion, and drive to make a difference in the lives of children! Because you chose to have a COP Sunday and go all out, 296 children are now receiving nutrition, education, health care, and spiritual nurture, and are on a path to a bright future! Change a Life - Sponsor A Child Today! The children below need new sponsors. Could you help them by becoming their sponsor? There are several who need help finishing high school. Male. Age 17. Grade 12. Four brothers and two sisters. Father is a welder, mother is a homemaker. Enjoys Bible study. Dreams of becoming an agriculturist in the future. Sponsor Now. Male. Age 22. Grade 12. Two brothers and three sisters. Father is deceased, mother is a saleswoman. Enjoys worshiping at church. Dreams of becoming a mechanic. Sponsor Now. Male. Age 17. Grade 11. Five brothers. Father raises cattle, mother is a homemaker. Favorite sport is soccer. Elijah's sister passed away, and his parents struggle to find work. Sponsor Now. Female. Age 15. Grade 5. Four brothers and two sisters. Favorite sport is running. Home is constructed of mud bricks with iron sheets for the roof. Monthly Family Income: $15. Sponsor Now. Male. Age 11. Grade 4. Two brothers and three sisters. Father is a general worker, mother is a homemaker. No running water or electricity in the home. Monthly Family Income: $10. Sponsor Now. I am excited to announce two upcoming trips to visit sponsored children. The first trip is January 26 - February 19 to Tanzania, Kenya, Uganda, Rwanda, and Botswana. Total cost is $5,000, including airfare and land costs (food, lodging, land transport, incidentals, etc.). It is possible to join us on part of the trip for less cost. 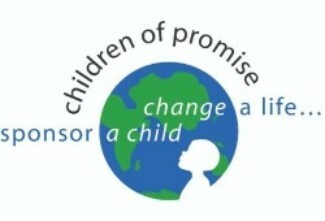 Contact me directly at plm@echildrenofpromise.org for specifics. We still have one or two slots available. Generally, expenses are less than projected, and we always return any funds not used on the trip. I will also be traveling to Haiti, Colombia, and Ecuador in May 2019. Total costs are not yet determined, but the approximate time frame will be April 30 - May 16. Meeting and interviewing the children and their families, visiting homes, worshiping in the children's churches, and working with local program volunteers is an enriching and life-changing experience. I hope you'll consider joining me on these last two sponsor trips as Executive Director. Come and see! There are some things that are not at all glamorous, but essential. If you are considering a year-end gift, there are many wonderful ideas and we would be delighted to hear from you. Allow me to share one idea that may not seem glamorous, but can make a big impact. As you know our Executive Director, Paul Maxfield, has announced his retirement next September. The Search Team is an outstanding group of leaders, and they are already well along the path of bringing the new Executive Director to the team. It’s an exciting new chapter for Children of Promise. It may not seem glamorous to acknowledge that there are many expenses involved in this transition. Perhaps you would like to help this new chapter of Children of Promise move forward. What are some costs as the transition takes place? 1. 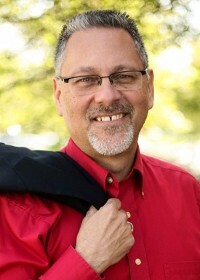 The plan includes overlap so that the new Executive Director can work with Paul Maxfield as they learn about the position. For a period of time there will be salary overlap. 2. It includes trips to some countries to introduce the new Executive Director, as he/she learns about the workings of Children of Promise, and receives orientation. 3. There may be moving expenses. 4. As with any change like this, there are always unexpected expenses. All of this may not seem glamorous, but it is absolutely essential so the new Executive Director can lead effectively as we continue to help children. Thank you for considering this need. We are continually thankful for people like you who care enough to make a difference. Thida Htay came from a Burmese Buddhist family that was very poor. Her mother got a job working as a domestic in the home of Rev. Matthew Win. Thida would accompany her mother to work in the Win home, and there she encountered what she had never seen in her home: love. She noticed that the Win family went to church every Sunday, and so one day, Thida hid in the car and went with them. She was introduce d to Jesus and was later sponsored. 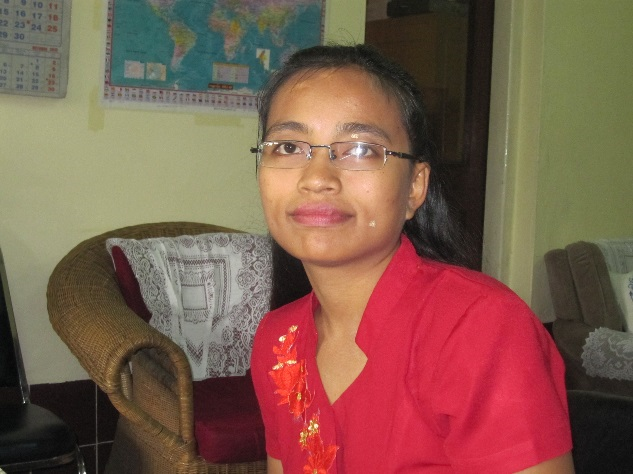 As a sponsored child, Thida continued attending church and decided to be baptized at age 16. Her father was very against this decision and kicked her out of their home. Thida went to live on the church compound with Rev. Dorothy Colney, the present leader of the Church of God. For Thida, sponsorship and the presence of the local church offered her acceptance, love, respect, purpose, and protected her from having to live on the street. She attained her secondary education, then went on to earn a bachelor’s degree and a master’s degree. Today she is a pastor of a congregation of the Church of God in Myanmar, and has been a Children of Promise volunteer for many years. Because of sponsorship, Thida was invested in by the local church, and was given opportunity for a brighter future with hope and promise. We want t o thank all of our sponsors who gave to the Christmas Fund this year. Even though Christmas is still a few weeks away, we send the funds ahead of time so our directors can buy gifts and can plan celebrations for the children. Because of your giving, we were able to send $10 per child this year! If you'd still like to give to the Christmas fund, we will be happy to apply it to the 2019 fund! 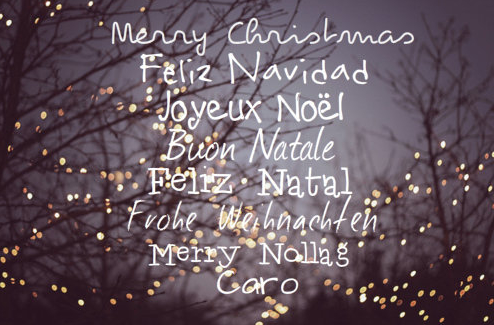 Thank you for being proactive in your giving and for supporting the children so they can celebrate our savior's birth! Children of Promise is a partnership. Our sponsors are our primary partners - we could not do what we do without you! 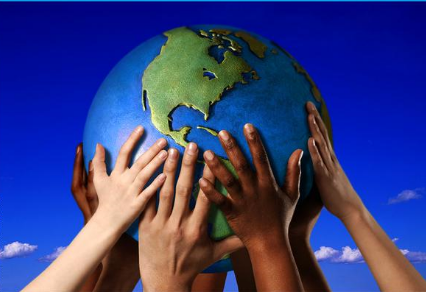 In addition, we partner, collaborate, and work alongside more than 1,000 volunteers globally. Those volunteers include: our program d irectors, local committee members, teachers, medical providers, and church members who work together to provide care and support for the children. In addition, we partner with the parents and guardians of the children, helping to encourage them and provide additional support where needed. We also have partnerships with various musical groups in the U.S. who help us tell the Children of Promise story. Our volunteer Ambassadors across the U.S. promote sponsorship in various venues. Thank you, sponsors and donors, for partnering with us by offering your financial resources, writing letters to the children, and praying for the ministry. Together, we are making a significant difference in children's lives. Please pray: For Abby Stocksdale, missionary to Botswana, as she works with national leaders to open a new Children of Promise program in the country. Please pray: For Dr. Paul Maxfield as he plans the visits of the sponsored children in Tanzania, Kenya, Uganda, Rwanda, and Botswana in early 2019. Please pray: For Children of Promise kids all across the globe who will be celebrating Christmas, many for the first time. Pray that their celebrations would be meaningful and would reflect the true meaning of Christmas. 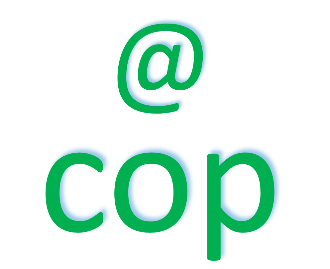 Office Closures: The COP Office will be closed December 24 and 25 as well as December 31 and January 1. Regular office hours will resume on January 2. End of Year Giving: Gifts received in our office postmarked December 31 or earlier receive tax credit for 2018. Our office will be open until 5:00 p.m. on December 28 for gifts over the phone. You may also call this special number on December 31 if you'd like to make a credit card gift over the phone: 765-620-3849. Please remember to notify us when your phone number, mailing, or email address changes. We want to keep your information current. Your love for children lives on through remembering Children of Promise in your will. Stacy Bowen, Promo. Asst./Office Assoc. Copyright © 2018 Children of Promise, All rights reserved.